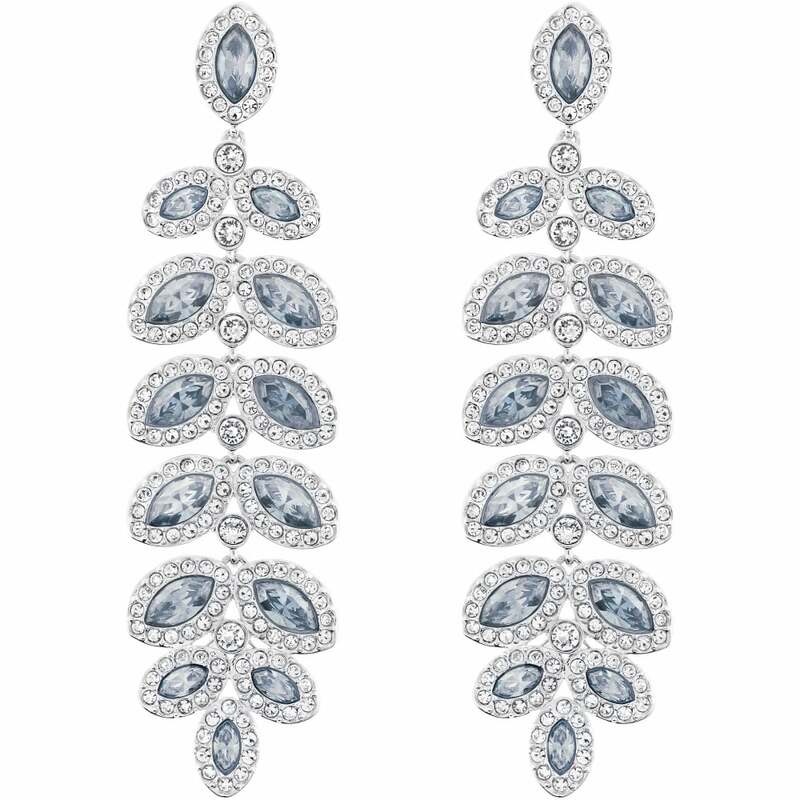 These gorgeous earrings are the epitome of opulent glamour. Each earring is created from fourteen individual oval shaped blue crystals that are set with clear crystals. These crystals are joined with single clear crystals, making the earrings look like a branch of leaves. We adore this natural motif, which softens the more is more approach of sparkling crystals. Worn alone or with other pieces in the collection, you will be sure to look elegantly glamourous, day or night.